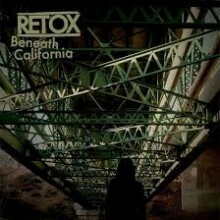 Retox will release their third studio album Beneath California on February 10th via Epitaph. The group has released a video for the song “Let’s Not Keep in Touch” which you can watch below. It has been a bit since I listened to Retox, but the first thing I noticed about this new song is that it’s a bit slower than some of their earlier work. There’s that same edginess and abrasiveness that has been part of their material, but in place of faster punk/powerviolence style riffs there are some meatier grooves. I really like this first song, and it sounds like Retox has continued to evolve with each release. They’ll be on tour in support of the album throughout February and March. Retox is set to release their third studio album Beneath California, out February 10 on Epitaph. The first new song and video “Let’s Not Keep in Touch” is available at Noisey now: http://noisey.vice.com/blog/retoxs-lets-not-keep-in-touch. The Los Angeles-based punk band currently consists of Justin Pearson (The Locust, Head Wound City, All Leather, Swing Kids), Michael Crain (Festival of Dead Deer, Kill the Capulets), Brian Evans, and Keith Hendriksen (Kill the Capulets, Virginia Reed). Since their conception in 2011, they have toured with similarly like-minded acts such as Melt-Banana, Tomahawk, OFF!, The Dillinger Escape Plan, and Trash Talk. Retox is a band that aims to simultaneously reflect and defy, using music as a way of holding a broken mirror to the rest of us, exposing different pieces of our own fucked up realities, and forcing the acknowledgement of the inevitable self-imposed apocalypse we are creating for ourselves. Catch Retox on tour this February and March in support of Beneath California. Full dates listed below.